Riversleigh and Naracoorte, situated in the north and south respectively of eastern Australia, are among the world’s 10 greatest fossil sites. They are a superb illustration of the key stages of evolution of Australia’s unique fauna. Riversleigh et Naracoorte, respectivement au nord et au sud de l’Australie Méridionale, comptent parmi les dix sites fossilifères les plus importants du monde. Ils illustrent admirablement les étapes clés de l’évolution de la faune australienne unique. إن ريفرسلاي وناراكورت، الواقعتين على التوالي في شمال أوستراليا الوسطى وفي جنوبها، تعتبران من بين المواقع العشر الأهم في العالم للمتحجّرات. إنها تظهر بطريقة مذهلة المراحل الأساسية المتعلّقة بتطوّر الحيوانات الأسترالية الفريدة. Риверслей и Наракорт, расположенные на северо-востоке и на юго-востоке материка, входят в мировую десятку важнейших местонахождений окаменелостей. Это прекрасная иллюстрация основных этапов эволюции уникальной австралийской фауны. Situados al norte y el sur de la Australia Meridional, los sitios de Riversleigh y Naracoorte forman parte de los diez depósitos fosilíferos más importantes del mundo e ilustran perfectamente las etapas más importantes de la evolución de la fauna autóctona, única en su género. Riversleigh en Naracoorte liggen respectievelijk in het noorden en zuiden van Oost-Australië en behoren tot de tien grootste fossielengebieden ter wereld. Het gebied kent een uitzonderlijke diversiteit aan prachtige fossielen en laat op een ongeëvenaarde manier zien hoe de fauna van het regenwoud zo'n 15 tot 25 miljoen jaar geleden veranderde toen Australië scheidde van Antarctica. Hierdoor ging regenwoud over in halfdroog gebied met grote evolutionaire gevolgen voor de fauna, met als grootste voorbeeld het buideldier. Het landschap – vooral bij de rivieren op Riversleigh – toont verder veel zichtbare archeologische sporen van de aanwezigheid van de Aboriginals. Australia is regarded as the most biologically distinctive continent in the world, an outcome of its almost total isolation for 35 million years following separation from Antarctica. Only two of its seven orders of singularly distinctive marsupial mammals have ever been recorded elsewhere. Two of the world’s most important fossil sites, Riversleigh and Naracoorte, located in the north and south of Australia respectively, provide a superb fossil record of the evolution of this exceptional mammal fauna. This serial property provides outstanding, and in many cases unique, examples of mammal assemblages during the last 30 million years. The older fossils occur at Riversleigh, which boasts an outstanding collection from the Oligocene to Miocene, some 10-30 million years ago. The more recent story then moves to Naracoorte, where one of the richest deposits of vertebrate fossils from the glacial periods of the mid-Pleistocene to the current day (from 530,000 years ago to the present) is conserved. This globally significant fossil record provides a picture of the key stages of evolution of Australia’s mammals, illustrating their response to climate change and to human impacts. Criterion (viii): These fossil deposits are outstanding examples representing major stages of earth's history, including the record of life. Riversleigh provides exceptional, and in many cases unique, mammal assemblages from the Oligocene to Miocene, spanning from 10-30 million years ago. These assemblages document changes in habitat from humid, lowland rainforest to dry eucalypt forests and woodlands, and provide the first fossil record for many distinctive groups of living mammals such as the marsupial moles and feather-tailed possums. The assemblages recovered from the caves at Naracoorte Victoria Fossil Cave preserve an outstanding record of more recent terrestrial vertebrate life. These open a window into a significant period of earth’s history from the mid-Pleistocene to present (530,000 years ago to today), a period characterised by great climatic changes. Criterion (ix): Both sites provide complementary evidence of key stages in the evolution of the fauna of one of the world's most isolated continents. The history of mammal lineages in modern Australia can be traced through these fossil deposits and, as a consequence, there is a better understanding of the conservation status of living mammals and their communities. At Riversleigh the mammal fossil assemblages indicate changes in habitat from humid lowland rainforest to dry eucalypt forests and woodlands from the Oligocene to the Miocene, and indicate the rainforest origins for the majority of mammal groups that today occupy arid Australia. The vertebrate species present at Naracoorte provide a key clue to understanding their responses to climate change, and include superbly preserved examples of the Australian ice age megafauna (giant, now extinct mammals, birds and reptiles), such as the enigmatic extinct marsupial lion (Thylocoleo carnifex). This site also hosts essentially modern species including marsupials such as the Tasmanian devil (Sarcophilus harrisii), Tasmanian tiger (Thylacinus cynocephalus), wallabies and possums; placental mammals including mice and bats; and snakes, lizards, frogs and turtles. The Naracoorte assemblages span the probable time of arrival of humans to Australia and thus are of additional value in helping unravel the complex relationships between humans and their environment. They highlight the impacts of both climatic change and humans on Australia’s mammals, including its now vanished megafauna. In Riversleigh, an area of very active mining exploration, not all of the deposit is contained within the property although the representativeness of the site, located within the Boodjamulla (Lawn Hill) National Park, is judged adequate. In Naracoorte, the whole of the deposit of the Victoria Fossil Cave is included within the property. While the surficial boundaries of the Naracoorte Caves National Park do not match those of its underground cave deposits, the entrances to the caves are protected, which is the critical factor. Since the World Heritage inscription, the boundaries of the National Park have been expanded and cover most known caves within the park. Additional land has been purchased and added to the park providing greater security. Researchers have expanded the knowledge of Naracoorte’s caves in addition to Victoria Fossil Cave, including the timeframe of the fossil records. A major issue for the integrity of fossil sites is the physical removal of fossils. Because palaeontology is an extractive science, the determination of a site’s scientific value involves the removal of specimens from their depositional context to laboratories for study. The extent to which the resource is affected by paleontological excavation in Riversleigh was less than 1% at the time of inscription. In Naracoorte, although paleontological excavations at the site affect a higher proportion of the total fossil deposits compared to the extensive deposits at Riversleigh, less than 1% of the resource is affected by excavation and many sites remain undisturbed. In order to retain the integrity of the original site as much as possible, as a matter of policy, collections should not be too widely dispersed. Conditions are applied, supported by legislation, to record the location and regulate the removal of fossil material from both Riversleigh and Naracoorte. The paleontological work is important for the identification, presentation and transmission of the World Heritage values of the property to future generations. The Riversleigh site is contained within Boodjamulla (Lawn Hill) National Park. Owing to the rugged limestone terrain, visitor access and on-site presentation are restricted to one location. In 1992, the nominated area was acquired for National Park purposes and grazing on the property has ceased. The Riversleigh site is protected by the strong provisions of Queensland’s Nature Conservation Act 1992, and it is managed as a discrete component of the larger national park. Management is guided by the Riversleigh Management Strategy (2002), and a management plan for the whole national park is presently being developed. A Riversleigh Community and Scientific Advisory Committee has been established, with representation from the scientific community, Queensland Museum, tourism, Waanyi traditional owners, and local, Queensland and Australian governments. In addition, a Waanyi Advisory Committee provides advice on Indigenous issues. Naracoorte Caves National Park has a management plan. There are some factors relating to the previous use of the site which have impacted on a minority of its caves, including the partial modification of some parts of caves to facilitate visitor access (a small proportion of Naracoorte National Park’s caves are open to the public), and the mining of guano in one cave in the 19th century. However access to the main fossil beds is carefully controlled and they remain in an undisturbed condition. Visitor access is controlled to protect the scientific, conservation and aesthetic values of the caves. All World Heritage properties in Australia are ‘matters of national environmental significance’ protected and managed under national legislation, the Environment Protection and Biodiversity Conservation Act 1999. This Act is the statutory instrument for implementing Australia’s obligations under a number of multilateral environmental agreements including the World Heritage Convention. 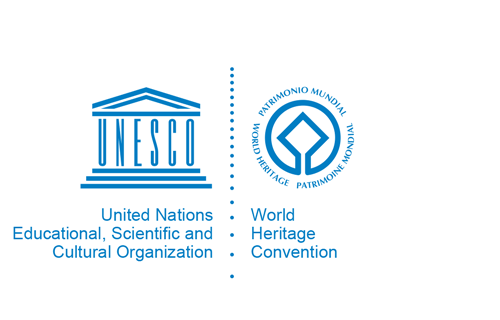 By law, any action that has, will have or is likely to have a significant impact on the World Heritage values of a World Heritage property must be referred to the responsible Minister for consideration. Substantial penalties apply for taking such an action without approval. Once a heritage place is listed, the Act provides for the preparation of management plans which set out the significant heritage aspects of the place and how the values of the site will be managed. Importantly, this Act also aims to protect matters of national environmental significance, such as World Heritage properties, from impacts even if they originate outside the property or if the values of the property are mobile (as in fauna). It thus forms an additional layer of protection designed to protect values of World Heritage properties from external impacts. The Australian Fossil Mammal Site was also listed under the EPBC Act as a place inscribed on the National Heritage List in 2007. Fossil excavation is regulated under relevant State legislation in addition to the EPBC Act and is restricted to very small areas. Other potential impacts on natural condition of both sites such as those associated with visitor access, other research activities and management actions are guided by the relevant management arrangement.